UPDATE September 16: The 2012 Conference Seminars will be available on the NICIAW Website through July 2013. IDA’s Seminar will be available on our website indefinitely. Parker, CO – July 15, 2012 – The Invisible Disabilities Association (IDA) Founder and President, Wayne Connell and his bride, Sherri were invited back to be guest speakers again for the upcoming 2012 National Invisible Chronic Illness Awareness Week (NICIAW). Don’t miss the week’s FREE Online Seminars, other activities and offers September 10 – 16. Monday September 10 at 10 am MST: Wayne and Sherri will be discussing What to Say, What Not to Say and How to Help Someone Living with Illness and Pain. This year, the interview will be by video! In 2010, Wayne and Sherri were Guest Speakers for a podcast interview, “Invisible disabilities and the Husband as Caregiver” that was broadcast live. In 2011, it was featured again during the week’s events. Also in 2010, Wayne shared tips that were adapted from IDA’s book, But You LOOK Good! and published into a collaborative project. NICIAW Founder and Author, Lisa Copen compiled a helpful, 80 page ebook, Chronic Illness Tips: 263 ways to more than “just get by.” This book is available to download for FREE! 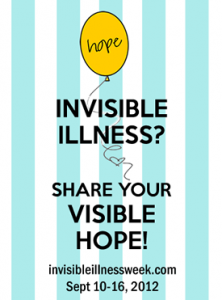 National Invisible Chronic Illness Awareness Week is an official annual campaign sponsored by Rest Ministries in collaboration with other sponsors. This year, the NICIAW will provide both audio and video seminars, handouts, articles, blogs, posters and more! Print and Distribute Our Press Release to your friends, family, support groups, doctors, nurses and neighbors! 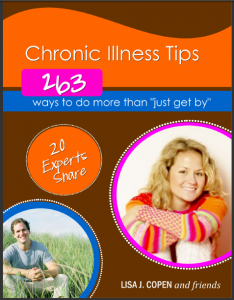 Chronic Illness Tips: 263 ways to more than “just get by.” Available to download for FREE! Tips adapted from IDA’s booklet, “But You LOOK Good!” into a collaborative project by NICIAW Founder, Lisa Copen. Invisible Illness and Finding Support. Guest Speakers IDA Founder Wayne Connell and his wife, Sherri. 2010 and 2011 National Invisible Chronic Illness Awareness Week. 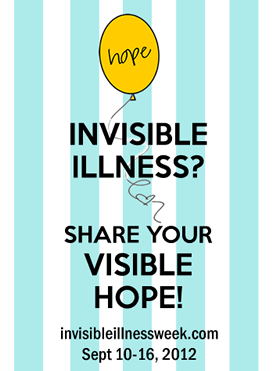 Thank you, Lisa and all who gave of their time and efforts to make the Invisible Illness Awareness Week possible! So many are encouraged, because of everyone who made this week happen! I will do my best to be here to hear what is going on and I too am glad you started this site for all those who are invisibily disabled.